Chicago is not New York, where a simple stroll down the sidewalk results in approximately 47 people brushing against you and crossing the George Washington Bridge requires solving a troll’s riddle. 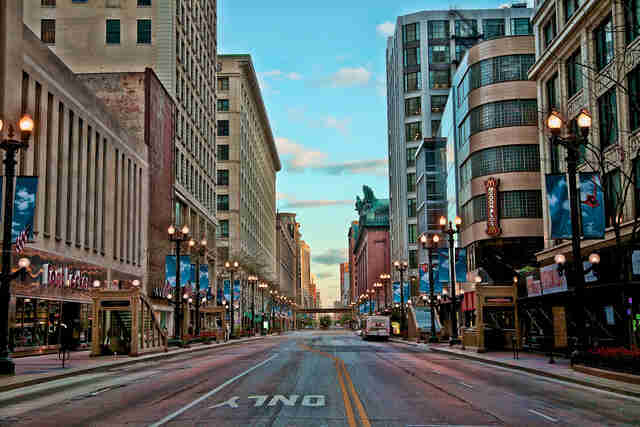 But it’s still a big city, and that’s why these 10 hacks for getting around Chicago will come in handy. They may save you time or just your sanity. Sure, a water taxi isn’t the fastest mode of transportation, but it offers excellent views when it runs in the warmer months. If for some reason you find yourself at Navy Pier, the Shoreline water taxi will take you down to the Museum Campus for $8. Additionally, the Chicago water taxi can take you into downtown from North Ave (by Kingsbury), where you can then transfer at the Ogilvie stop and continue down to Chinatown. An all-day pass costs $8. Leaving a game, or just in the neighborhood and looking to avoid any projectile vomiting? Avoid most of the foot traffic by using the Sheridan stop instead of Addison after a Cubs game, and the Green Line stop at 35th instead of the Red Line stop after a Sox game. Also, this is a handy site if you’re planning on parking in Wrigleyville. Heading to the North ‘burbs and want to avoid traffic and/or future visits to a therapist? While the Edens is jammed up, roll on over to Pulaski Road which eventually merges into Crawford Ave and offers a much smoother ride. Serenity now! 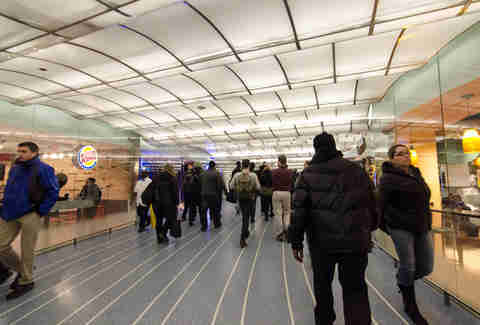 The Chicago pedway is a series of underground paths that connect a large section of the Loop. While the system map is a bit disjointed, you can still traverse several city blocks while avoiding snow, rain, ice hurricanes, sleet tornadoes, and whatever else Chicago weather whips up. When you get that gambling itch, there’s no need to drive or take a cab. Horseshoe Casino has several shuttle stops around town that will provide you with free transportation to beautiful Hammond, IN. You can even bring brewskis on the bus. Though unconfirmed, we’re pretty sure there’s traffic at the junction 24 hours a day. 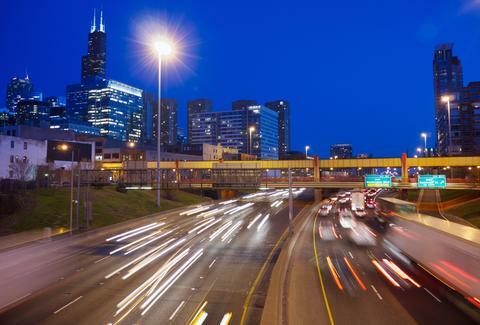 That’s why when driving inbound on the Dan Ryan, you can save a few minutes by taking an exit once you spot traffic, and then driving into downtown via State Street or King Drive. Like a boss. Working late at the office but have great seats for a 7:30pm Bulls game? Escape the downtown logjam and head to the Madhouse on Madison via Fulton Market, which usually experiences less traffic than the other East-West streets nearby. Nowadays there seems to be an app for pretty much everything. However, a few prove to be pretty indispensible for helping users get around town. 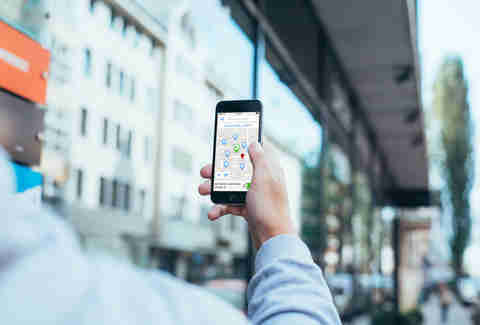 SpotHero finds private parking spots nearby, and the city’s ParkChicago app allows users to pay for public spots and extend their time remotely. The Getaround app lets users rent nearby cars by the hour or day, and RideScout is a transportation app that does a little bit of everything. 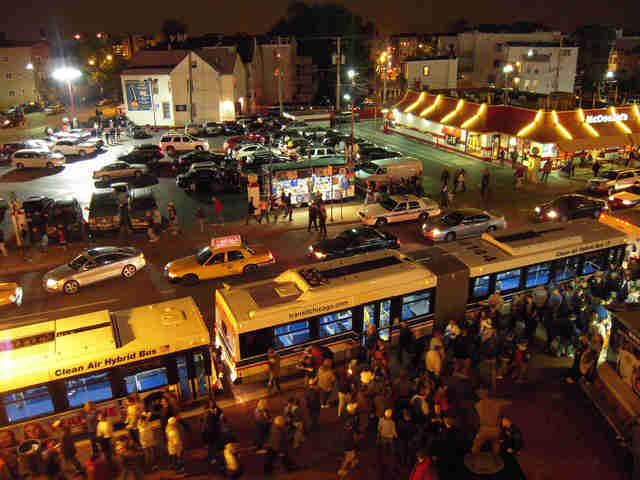 It’ll find nearby taxis, ride-shares, Zipcar rentals, public transit options, Divvy bike stations, and parking-rental spots. For drivers, there’s also Waze, which speeds up commutes by offering faster alternate routes in real time. When the expressway traffic is jammed up like a downtown bar’s bathroom line on St. Patrick’s Day, you can take an exit and get moving again on two of the city’s larger, diagonal-running streets. Get off the Kennedy and hop onto Elston Ave, and if you’re on the Stevenson, head for Archer Ave.
Sure, the recently finished 606 trail is no secret, but many cyclists will be surprised at just how zippy the commute can be on it. Even if the trail is not a straight line to your destination, it doesn’t have any red lights or giant potholes that may swallow you whole. It gets busy during peak hours, but riding down the trail is still less stressful than worrying about cabs that are driving like they’re in the Indianapolis 500. Raf prefers to get around on his matte-black track bike, which is named Marla. Send him shortcut tips: @RafFoSho.